A new hero, a new mission: twelve-year-old Ryan is Cherub's newest recruit. He's got his first mission: infiltrating the billion-dollar Aramov criminal empire. But he's got no idea that this routine job will lead him into an explosive adventure involving drug smugglers, illegal immigrants and human trafficking, or that his first mission will turn into one of the biggest in Cherub's history. 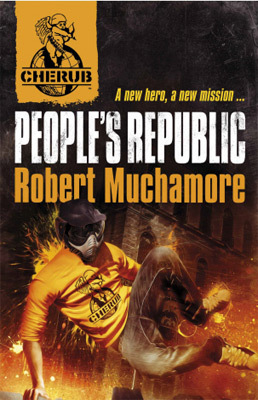 Robert Muchamore was born in Islington in 1972, and spent thirteen years working as a private investigator. He has written two series - Cherub and Henderson's Boys - and has sold millions of copies worldwide. He was inspired to create the Cherub series by his nephews' complaints about the lack of anything for them to read. Question: What motivated you to try something different with Cherub? Question: What do you enjoy most about writing children's novels? Question: What was your favourite book as a child? Question: Which Cherub character is most like you? Question: Can you believe Cherub is now published in 26 countries?